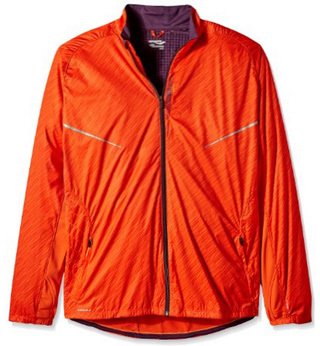 For today’s review we have another jacket, but this time, one designed specifically for runners. It’s the Nomad Jacket by Saucony for men and women. This brand specializes in running gear and their jackets are certainly worth a look, especially for those who enjoy running, no matter the weather. We will be discussing the purpose of wearing this jacket, its features, as well as during which season and occasion it is more advisable to be worn. Also we’ll talk about the colors available, the material it is made of and the user reviews & feedback. 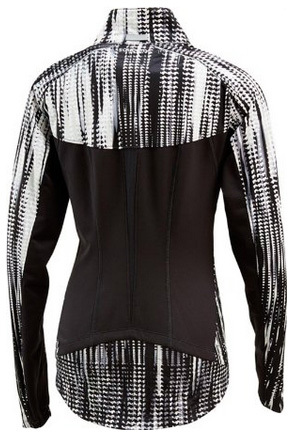 As mentioned previously, this is a jacket designed specifically for running. 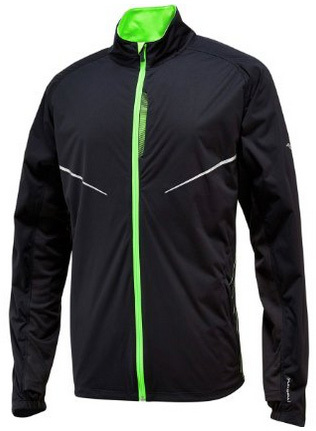 With that being said, what does this jacket actually have in order to be considered a running jacket? The main thing about it, is the material, which we will discuss afterwards more in-depth. It is very stretchy and allows for a proper fit, as well as ease when it comes to movement. There are other features such as thumbholes on the cuffs, so it fits more comfortably and also keeps your hands warm, and ventilation linings for breathability, to keep you dry and at the right temperature. The look of the jacket is that of a typical sports jacket, but for those who don’t mind, you can definitely wear it on your day-to-day activity, but running is where this jacket and its features really shine. It is a warm jacket, while also lightweight and it comes with proper insulation, which has been tested, as mentioned here, in about -20°C temperature. There are two hand pockets on the sides, both zipped. 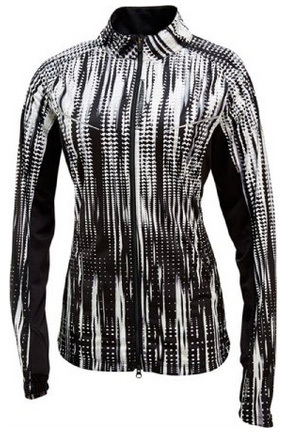 The jacket also comes with reflective linings, to keep you safe while running at night. As for the appropriate season to wear it, this jacket performs great in winter’s low temperatures, but due to its high breathability and lightweight material, it can be worn throughout spring and even on cool summer days, and most definitely during autumn. This is quite important, because there is no need in purchasing several jackets that can be worn in different seasons and weather conditions. Since we mentioned weather conditions, yes it is windproof and also water-resistant, but it comes without a hood, so it’s best to wear it during cold, dry weather. The materials differ from front to back, actually. The front part of the shell is FlexShell made of 100% high quality Polyester, while the back is Drylete, a combination of 92% Polyester and 8% Spandex. This allows it to keep you dry, warm, while also being flexible and stretchable, so it fits comfortably and doesn’t affect movement. There is a fleece lining on the inside, which, combined with the Drylete, make for considerable breathability, one of the most important features in a running jacket, due to this activity’s temperature-raising tendency. The material is water-resistant, as well as wind resistant and comes with proper insulation, with the long cuffs with thumbholes, the waterproof zipper and medium-height collar. There is a chin cover on the zipper, to avoid chafing. As for the men’s version there are two colors: ViziPro Slime / Black and the Tangelo print. Unlike most of the previous jackets we have reviewed, the color combinations on this one are a bit bolder, but definitely eye-catching. Users of this product, much like the reviewers linked previously, comment on the jacket’s ability to provide and maintain warmth, despite it being very lightweight and not like a typical heavy winter jacket. The comfort of it, is another thing that buyers are happy with, which is very important when looking for clothes in general, but specifically sportive clothes. You can’t be in top shape if your clothes are uncomfortable or do not fit properly. And for those who might be a bit on the edge about the colors, they are certainly not in everyone’s style, but as one of the reviewers mentioned, it’s fun to wear and change the style up a bit. When it comes to jackets, how and when you wear it, is mostly a personal choice, but having one that you can wear in multiple occasions and especially in different seasons, is a quality that needs to be considered. The Nomad jacket, albeit designed to be a runner’s go-to jacket, is comfortable and suitable to wear casually and in both harsh and milder weather. You can wear it at night as well, because the reflective linings will make sure you are seen from quite a distance. 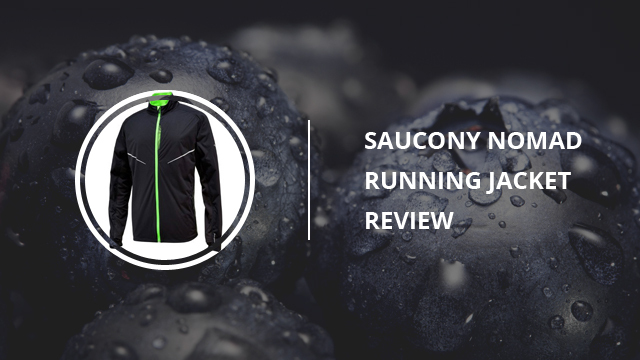 All in all, from this review we can see that the Saucony Nomad jacket lives up to its name and design, and is definitely worth considering.